Quang Ninh (VNA) – The northern province of Quang Ninh continued to be the most competitive locality in the country as it topped Vietnam’s Provincial Competitiveness Index (PCI) 2018. 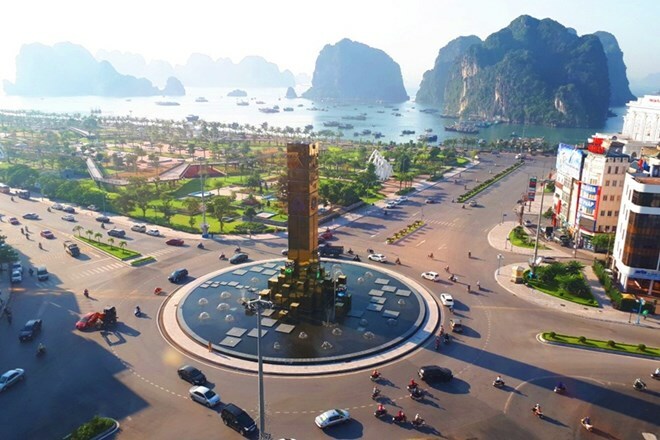 According to the PCI 2108 report launched on March 28 by the Vietnam Chamber of Commerce and Industry (VCCI) and the US Agency for International Development (USAID), Quang Ninh province gained the highest score of 70.36 on a 100-point scale. This is the second consecutive year Quang Ninh has obtained the position. It is followed by the southern province of Dong Thap with 70.19 points and the Mekong Delta province of Long An with 68.09 points. Cities and provinces in the top ten competitive localities include Da Nang, Binh Duong, Quang Nam, Vinh Long, Hanoi and Ho Chi Minh City. Since 2005, VCCI and USAID have cooperated to produce the annual PCI to measure provincial governance from the perspective of the domestic private sector. The PCI not only informs investors about decisions regarding the location of business operations, but also articulates the perceptions of private businesses regarding administrative procedures and the conduct of authorities at all levels. The PCI 2018, the 14th iteration of the report, was based on rigorous surveys of the perceptions of more than 12,000 firms operating in Vietnam, including nearly 11,000 private companies, in 63 cities and provinces and more than 1,500 foreign-invested enterprises in 20 localities. Speaking at the ceremony, US Ambassador to Vietnam Daniel Kristenbrink said that the PCI hit its highest level since 2005. The PCI report has been influential in promoting economic reforms and encouraging transparency in business climate while bolstering investment, trade and economic growth. The USAID will extend the PCI project for additional three years, he said. According to the PCI survey, 2018 saw more positive improvements in business environment than the previous year, with informal charges reducing, a more equitable business climate for private firms, and better administrative reform. Businesses expect that local authorities will work more to increase the transparency of the business climate, improve human resources training, better business support services, and facilitate conditions in land, tax and social insurance procedures, market management, transport and construction, among others, it said.